And people wondered what I would do with it after the Luau. 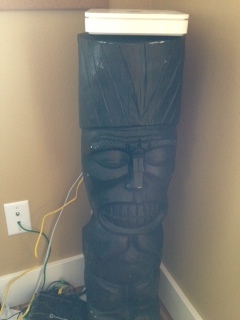 This entry was posted in Uncategorized and tagged computer, design, tiki. Bookmark the permalink. Question from husband. I feel like no other explanation needed.